Once upon a time, in a galaxy far away, I was a carefree young girl who would go hiking with neighborhood friends. 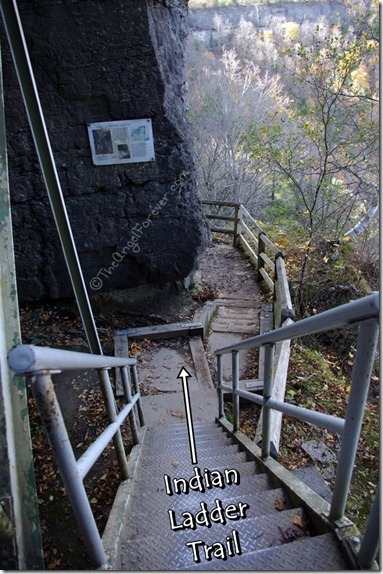 I remember the views were amazing, the trail was fun, and the memories big in my heart. 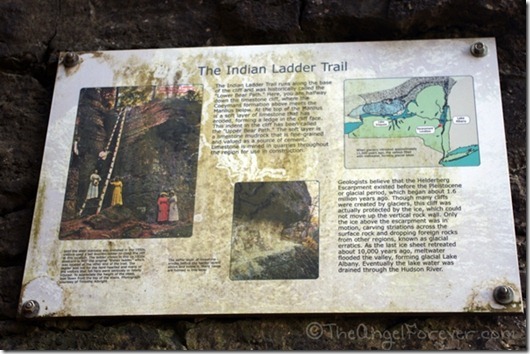 For years, I have been saying to TechyDad that we should go to Thatcher State Park and walk on the Indian Ladder Trail. 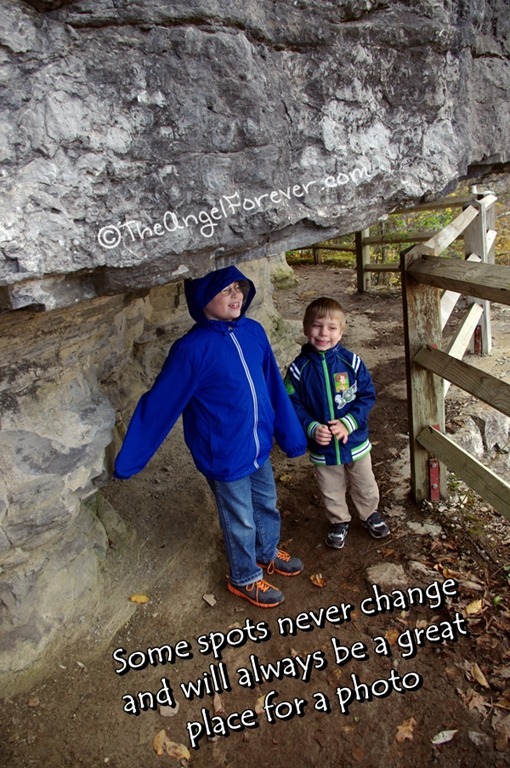 This weekend, with no notice, we packed the boys into the car for the ride and adventure. It has been a LONG time since I went to Thatcher Park. I never took TechyDad there before we started our family. My guess is that it has been at least 15 years. A lot has happened in that time. I got married, became a teacher, had two sons, and started to worry about things that never would have bothered me. 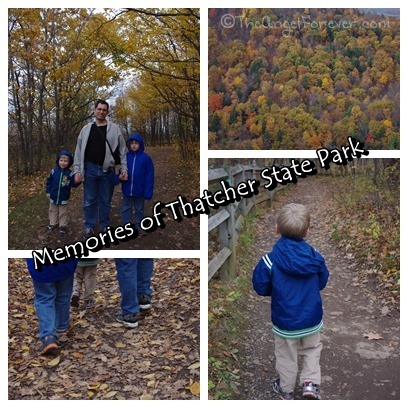 When we arrived at Thatcher State Park, we parked the car and set off to explore. 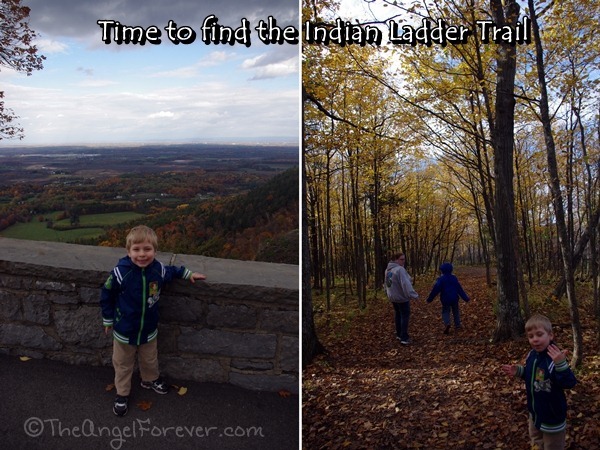 We were on a mission to find the Indian Ladder Trail, but were not sure if we were going to attempt it. The views along the way were breathtaking, but I was a little preoccupied at times. I had to watch to avoid the mud covered in leaves, divert the kids from other items, and make sure that they stayed away from the ledge. I do recall listening to JSL chant how it was the best day ever because he was walking in a forest. 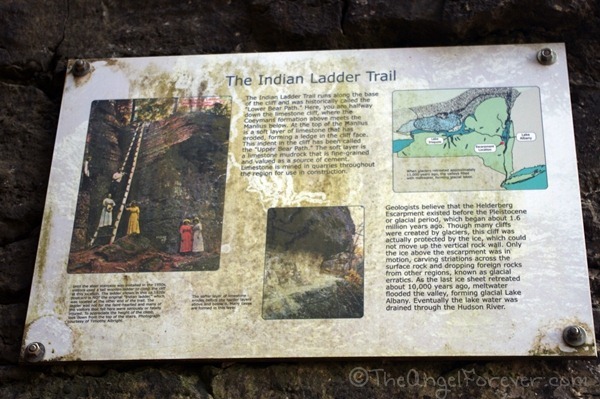 He would have just enjoyed going along these simple trails, but we were on a mission to get to the Indian Ladder Trail that I had been talking about for years. I swear that the sides seemed much different before I was a mother. Suddenly, the edge of the mountain looked a lot closer to where the trail was. It was all so very different. Way back in the day, this view would not have sent me into a mild panic. This was just one of the crazy sets of stairs that I don’t recall being this steep when I was 15+ years younger. Of course, in those days I was not traveling and in charge of two of my own children. I really do think that that made a major difference. If you look at the far end of the photo above, you will see mud, wetness, and leaves. This certainly added a new level of excitement to the trail. Honestly, it wasn’t that bad. It was just different. 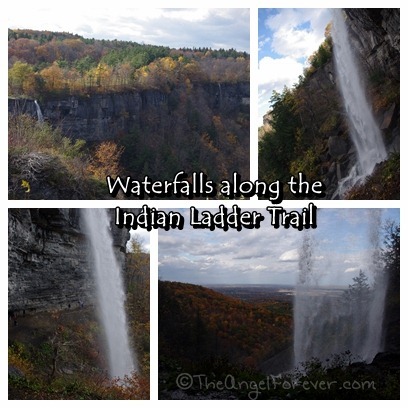 Had the trail not been as wet and slippery, I probably would have enjoyed the beautiful colors and two amazing waterfalls a bit more. Still, we stopped for photos in places I remembered. We all were amazed with Mother Nature’s beauty on this autumn day. Not only were the colors probably the best for viewing, but the water falls were rushing like I had never seen. 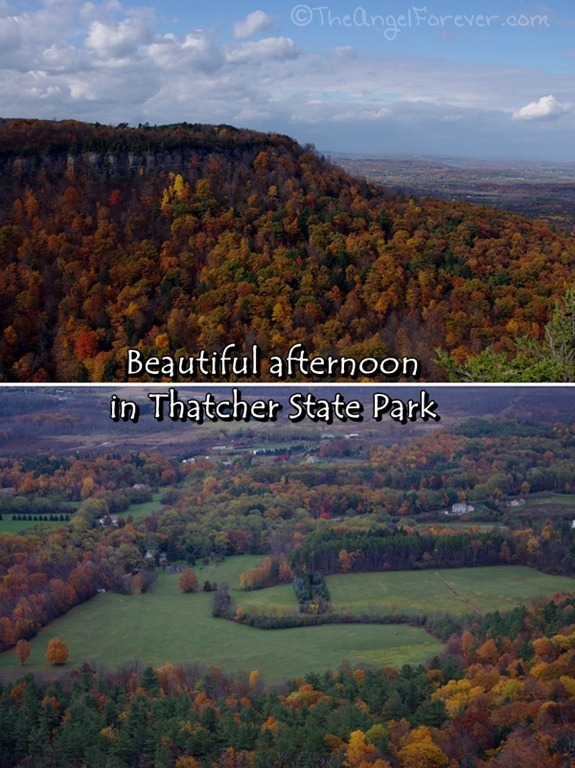 There is a lot more to share, plus I have a feeling we will be going back to Thatcher Park again, perhaps before the winter. Of course, the views will not be the same, but the natural beauty and new knowledge of the trail with kids will make our next adventure even better. 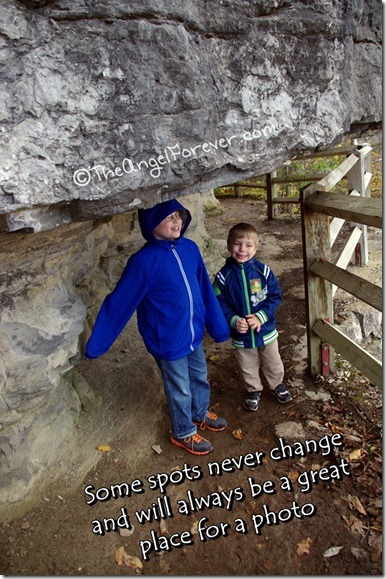 Have you ever been back to a place that is very different than you remember it as a parent? I would love to hear your thoughts and memories. So glad you went! I bet your boys will be talking about this family adventure for years. What a beautiful park! 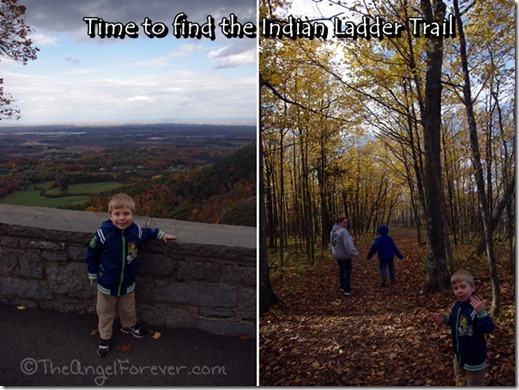 I think returning to a place for the kids to observe the different seasons is great. We just took the kids there a couple of months ago for the first time and the loved it! We made a duck tape bracelet so my 5 year old could stick all of her leaf findings on it and go home with a festive project! How beautiful! Looks like a fun day was had by all! Interesting trail!